Material: 76% Polyamide. 24% Spandex. 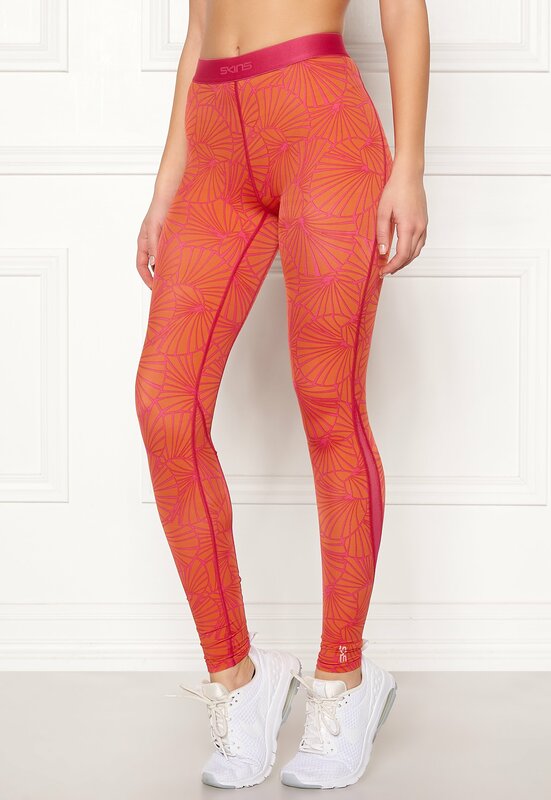 Gorgeous, patterned exercise tights from SKINS. The exercise tights have a stretch quality and are perfect for all types of training. - Stretch quality - Optimal compression for body movement - Breathable fabric - Elastic waist with logo Inside leg 69 cm, front rise 22 cm, waist 60 cm in size S. The model is 171 cm tall and wears a size S. Machine wash at 30 degrees (delicates).